Airlines go bankrupt: will you make it home for Holidays? The past year has not been easy for European airlines – Air Berlin, Primera Air, SkyWork, Cobalt Air, Monarch and Small Planet Airlines, VLM Airlines Brussels all shut down. Meanwhile WOW Air’s acquisition by Icelandair Group fell through leaving the transatlantic carrier to fend for itself after reporting a 36% profit drop in its third quarter 2018 financial results. And although the carrier is now looking at a $75 million investment from Indigo Partners, the fact remains that more airlines are at risk this coming year. Even the seemingly well-off airlines are now bracing themselves for a harsh winter. Recently Europe’s biggest airline’s by pax numbers Ryanair’s CEO Michael O’Leary commented that “there will be more and larger failures this winter,” pointing to Scandinavian carriers. That, of course, is not to mention the Irish airline’s own troubles – Ryanair reported a 7% profit fall noting the rising fuel costs, strikes and dropping air fares. One of the biggest issues plaguing the industry at the moment is increasing global demand for experienced pilots which, according to Boeing, will reach 118,000 in Europe over next 20 years. This, along with recent airlines’ troubles with unions – 15 days of strikes at Air France and numerous at Ryanair – only adds to an already tough year for airlines. „Pilot demand is currently one of the most pressing issues within the industry. Most of airline‘s fierce competition is for pilots with significant experience. 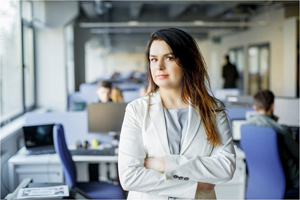 This pushes airlines to offer better work conditions and higher pay, which of course is a good thing, yet cuts into business profits,“ says Skaiste Knyzaite one of the organizers of AIR Convention – conference dedicated to exploring cutting edge solutions in aviation industry, including HR and Training. Yet pilot shortage is not the only issue affecting the industry. Increased oil prices also hit airline profits considerably – in the past year cost of jet fuel shot up 50%. Even though the prices are now steadily dropping it may take a while for airlines to notice. Fuel costs make up approximately 20% of airline’s expenditures. “Even though oil prices are declining now, airlines will likely only feel the positive effects of it in 2019 so there’s still a harsh winter ahead. Fuel is one of the biggest airline’s expenses and we can see its direct impact on their health. That is why our conference will also focus on airline business, how to stay competitive and even alternative fuel options,” shared Ms. Knyzaite. AIR Convention Europe is a two day conference, exhibition and awards focusing on innovative solutions within the industry while also functioning as a global networking platform for industry decision makers. 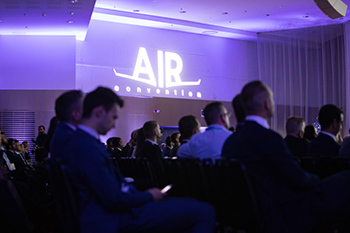 AIR Convention Europe will take place on September 17th – 19th, 2019 in Vilnius, Lithuania. Smolensko st. 10B, LT-03201, Vilnius.